Gas Oil is also known as red diesel and tractor fuel. In the UK it is widely used to power agricultural equipment, marine vehicles and off-road construction vehicles. Gas Oil is an off road fuel which has many of the same properties as regular ‘white’ Diesel. This makes it perfect for powering vehicles in industries, such as, agricultural, construction, quarrying, forestry and shipping. It must not be used as a road fuel. Why is Gas Oil called Red Diesel? 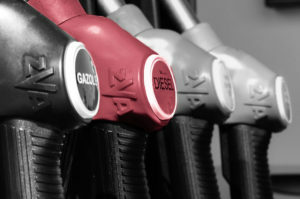 The name ‘Red Diesel’ is taken from the reddy-pink colour of the fuel. Where can Gas Oil be used? Unlicensed vehicles that are only ever driven on private land. Licensed vehicles that have been registered with a Statutory Off Road Notification (SORN) and are only ever driven on private land. Agricultural vehicles, as long as they are being used for business purposes. Snow clearing vehicles and gritters (including gritting activity by tractors, light agricultural vehicles and material handlers). JCBs, excavators and cranes that are being used for construction purposes. Commercial and leisure boats when used in UK waters (although full tax must be paid on any fuel used to power the engine). We offer up to five delivery options including Same Day deliveries and your domestic heating oil quote will display the prices for these. Select your delivery type then proceed to secure online ordering to book your domestic, agricultural or haulage oil delivery quickly and easily. If you would prefer to book over the telephone, our customer services team are more than happy to help. Once your heating oil is ordered you can be rest assured that your delivery will be made according to your requirements by your trusted supplier and you won’t even need to be at home when your oil is delivered – Just sit back and relax.